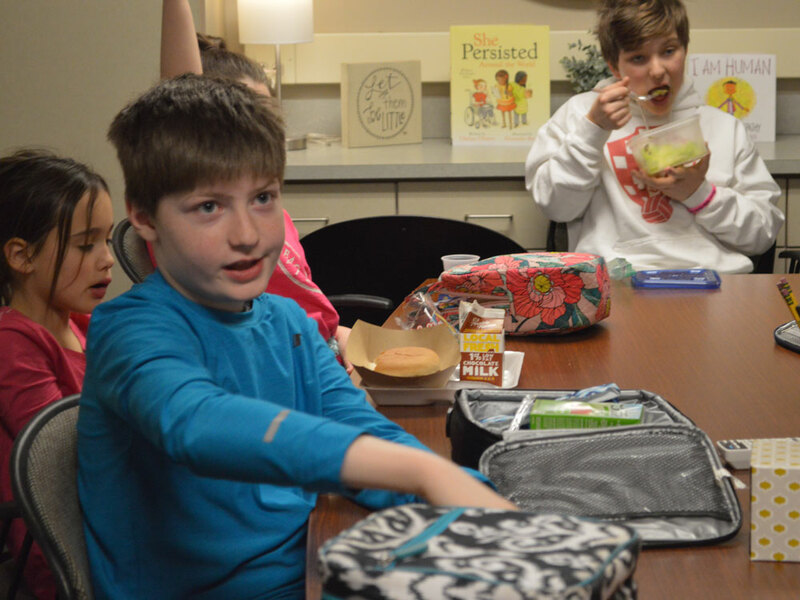 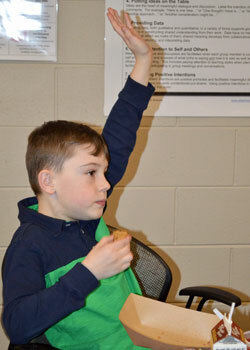 “It means you work while you eat,” explained first-grader Carter Griffioen, as all around him could be heard the sounds of juice boxes crinkling, sandwich bags opening and even corn on the cob being crunched. 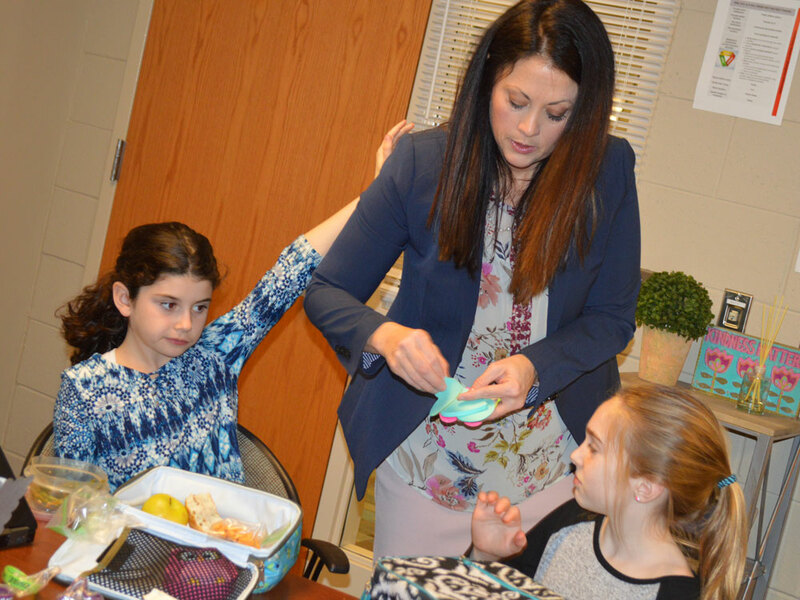 For the second year, Principal Kimberly Van Antwerp is hosting the monthly lunch meetings — called lightbulb to signify bright ideas. 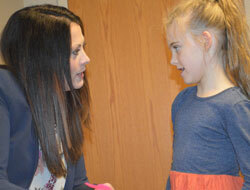 The event extends the district’s effort to capture student voice, even to its youngest students. 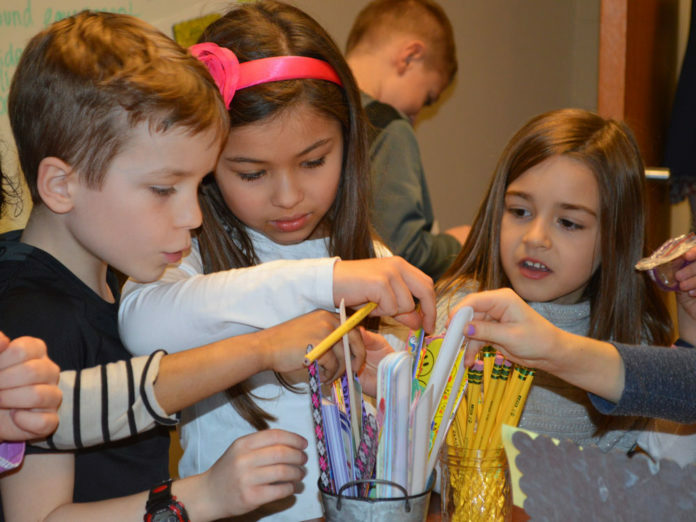 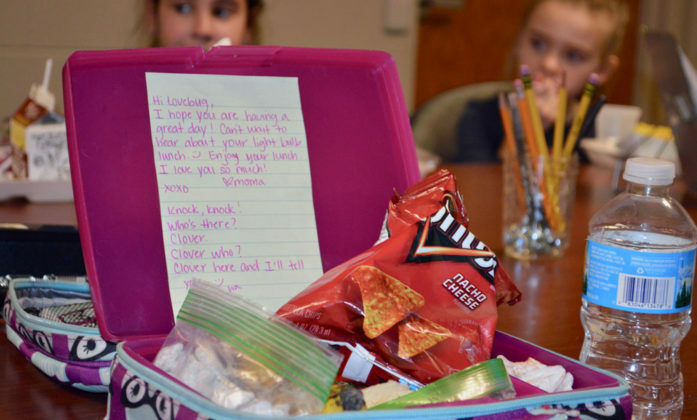 Every month, teachers recommend a different group of students from each grade. The goal is that every student at the school will be in at least one lightbulb lunch every other year, Van Antwerp said. 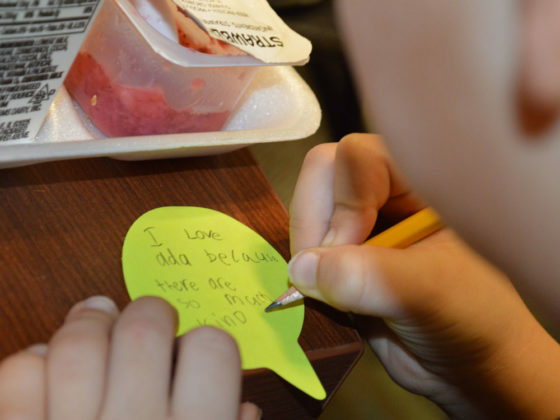 And the working lunch is lightning fast: within about 30 minutes, each group brainstorms what they think is great about their school and what they think needs improvement. Second-grader Wyatt Kurpinski said “Sometimes if I’m on the buddy bench, people just walk past me.” Van Antwerp said she will remind students during her daily announcements that those on the buddy bench are looking for others to play with. More playground equipment was a common request among the group of second- and third-graders. 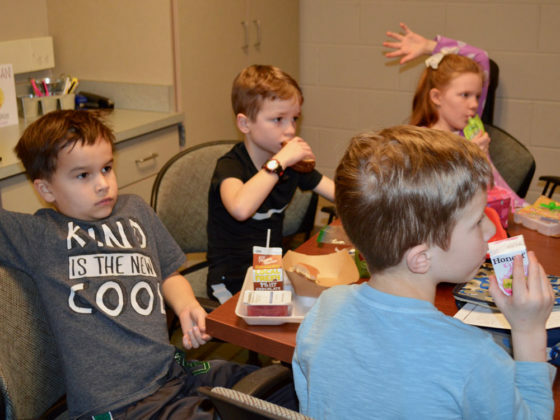 Third- and fourth-graders wondered whether they are old enough to choose those they sit with at lunch, instead of having to be with their class; and also brought up safety concerns. 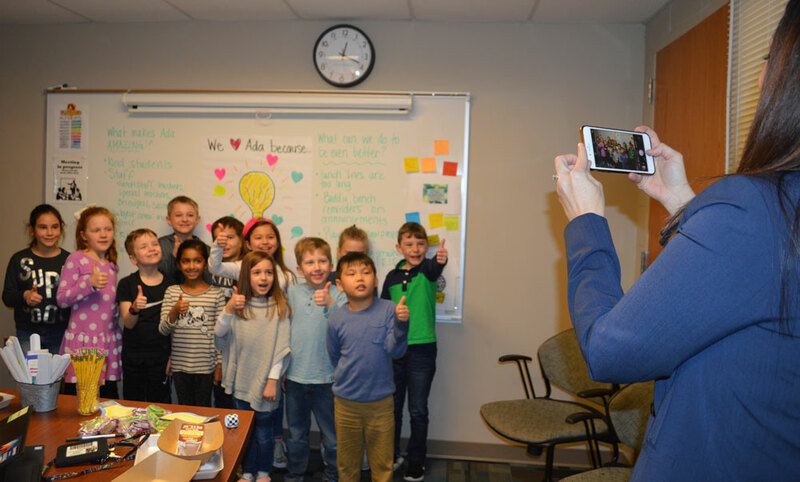 Van Antwerp reminded the lightbulb lunchers that numerous improvements around school have come from student input: such as a bulletin board with regularly updated book recommendations and even bring-your-own soccer balls. 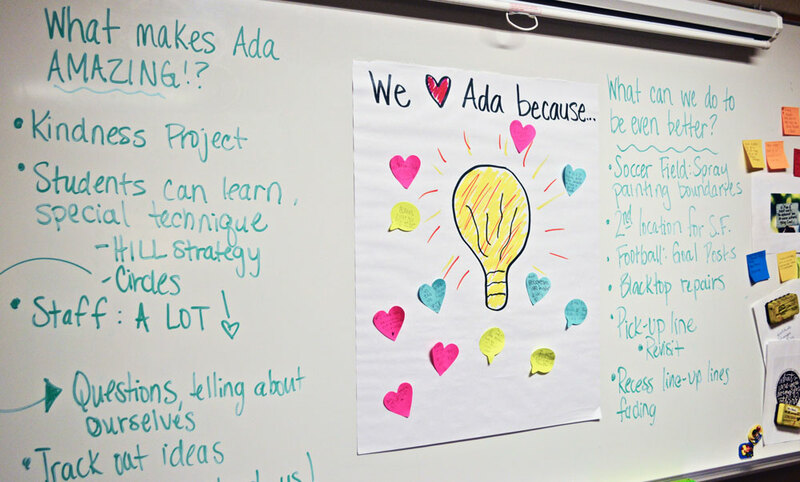 “We want you to know we listen to your ideas, and that your ideas matter,” she said.